Do you have the reputation as being a bit hot-tempered or downright evil? Or, do you like to put your friends on the hot seat with your cantankerous diatribes? This Uzzath Devil Mask might just be your calling. While some like to have fun dressing up as their favorite movie characters or Hollywood stars, others choose to put the evil in Halloween—and this mask does not disappoint. Although we are still trying to figure out why he’s drooling, we suspect there might be some devil’s food cake at the party. Even demons from the depths of hell go gaga over some earthly temptations such as moist chocolate cake, but who can blame them? 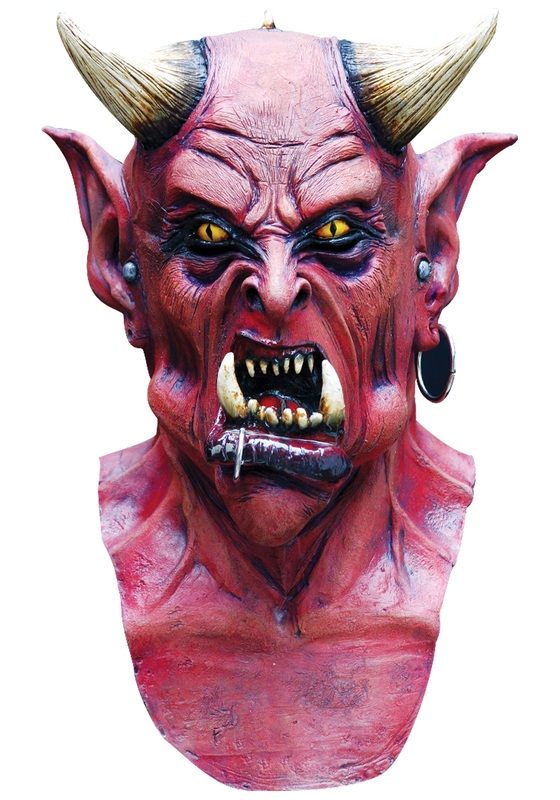 You’ll look like you’re seething mad in this Uzzath Devil Mask, and ready to sink your fangs into unsuspecting guests...and that fudge-glazed confection you’ve been eye-balling all night.